The beginning of the city of San Antonio as a civil settlement in the province of Tejas is generally recognized as the arrival of 16 families consisting of 55 immigrants from the Canary Islands. By royal decree of the King of Spain, they founded La Villa de San Fernando, which was named in honor of Fernando VI, the heir to the Spanish throne and established the first chartered civil government. The Isleños had rights as first settlers to form a town government, to receive generous land grants, and to carry the noble title of “hidalgo” which comes from Hijo Dalgo and means “son of noble Lineage”. They joined a military community that had been in existence since 1715. Together they formed the nucleus of the villa of San Antonio de Béxar, now the city of San Antonio. On March 27 1730, from the port of Santa Cruz, on the island of Teneriffe, the ship Santísima Trinidad, Nuestra Señora del Rosario y San José set sail for the New Philippines or Téjas as the territory was now known. By June 1730, twenty-five families had reached Cuba. After nearly a month on the island of Cuba, ten families finally left the Port of Havana for Vera Cruz. They boarded the bergantín (Brig) Santo Cristo de San Román y Nuestra Señora de Guadalupe under the command of Capitán Pintado. On June 19, 1730, after sailing for 12 days, the first families sent to settle Téjas in accord with the orders of the King given on February 14, 1729, arrived at Veracruz in Nueva España. A second ship, the fragata (frigate) Nuestra Señora de la Anguitias y San Antonio, captained by Juan Rodriguez Vilano arrived in Havana. Many of the passengers were from Telde on the island of Grand Canaria while others were from la cuidad de Canaria today known as Las Palmas de Gran Canaria. Having left the island of Gran Canaria sometime around the last week of May, Capitán Vilano made good time arriving in Havana in just over 5 weeks. Of the fifteen families that arrive in Havana on July 1st, the second group of Isleños made up of five families and 2 persons departed Havana for Veracruz on the bergantín Nuestro San Francisco de Assísi y las animales under the command of Capitán Manuel Francisco Marques. The second group, arrived at the port of Veracruz and was immediately taken to the military barracks to join the other families. On August 14, 1730 the Isleño families departed Vera Cruz for Quantitlan. By September 9th, 1730 they had arrive at Quantitlan (Cuatitlán), an ancient Aztec Village near Mexico City. On November 8th an official list of the families was taken at which time the group had increased by marriages to fifteen families and four single men, a total of fifty-six persons where listed. The four single men were considered one "family" and listed as number sixteen. Because they were unmarried, they had to split the property normally granted to the head of the family. They stayed there until November the 15th when they began their difficult overland journey to the San Antonio River. The route that was mapped out for them by the Spanish government led them through San Luis Potosí and Saltillo. They had a short stop at the presidio of San Juan Bautista on the Rio Grande where they left their worn-out horses. 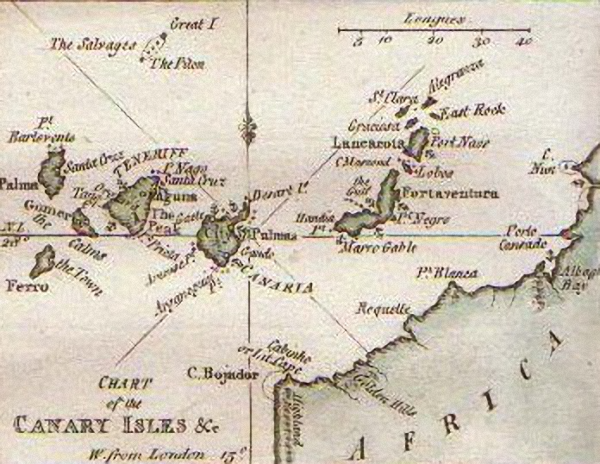 Under the leadership of Juan Leal Goraz, the group marched overland to the presidio of San Antonio de Béxar, where they arrived at eleven o’clock on March 9, 1731 a full year after their departure from the Canary Islands. Two years earlier, in February 1729, the Marqués de San Miguel de Aguayo made a report to the king of Spain, King Philip V, proposing that 400 families be transported from the Canary Islands, Galicia, or Havana to populate the province of Texas. 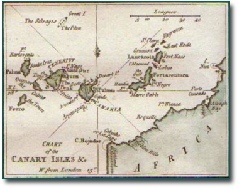 His plan was approved, and notice was given the Canary Islanders to furnish 200 families, the Council of the Indies suggested that 400 families should be sent from the Canaries to Texas by way of Havana and Vera Cruz. 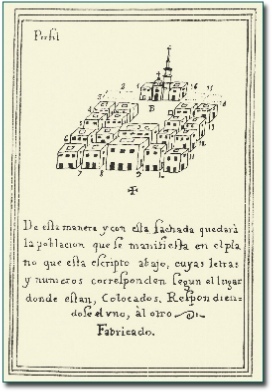 The site for the Church of San Fernando was selected on July 2, 1731, when Juan Antonio Pérez de Almazán, captain of the Presidio of San Antonio, laid out a central square for the villa of San Fernando de Béxar which became the center of the San Fernando parish. The first foundation stone for the church was not laid until three years after the arrival of the Canary Islanders, May 13th, 1734. Delays because of funding did not allow the church to be finished for more than 20 years, but finally in 1755 San Fernando Church was finished. Today, San Fernando Cathedral stands as one of the oldest Cathedrals in the United States. Maria Rosa Padrón was the first baby born of Canary Islander descent in San Antonio. By the time the Isleños had completed their arduous journey across the Atlantic and the rigorous trek to Texas, widows headed two of the families. Maria Rodriguez-Provayna also know as Maria Robaina de Bethéncourt, was only 27 years old and had 6 children ranging from one month to thirteen years of age. Her husband Juan Rodríguez Granado died at Vera Cruz on May 5, 1730. Maria claimed be a descendant of Jean de Béthencourt who, early in the fifteenth century, achieved the conquest of the Canary Islands for Henry III of Spain. The other widow to head a family was Mariana Delgado Meleano who was thirty years old and had three children ranging in age from two to sixteen years old. Her eldest son was listed as the head of the twelfth family. Her husband was Lucas Delgado who also died at Vera Cruz on July 5, 1730.